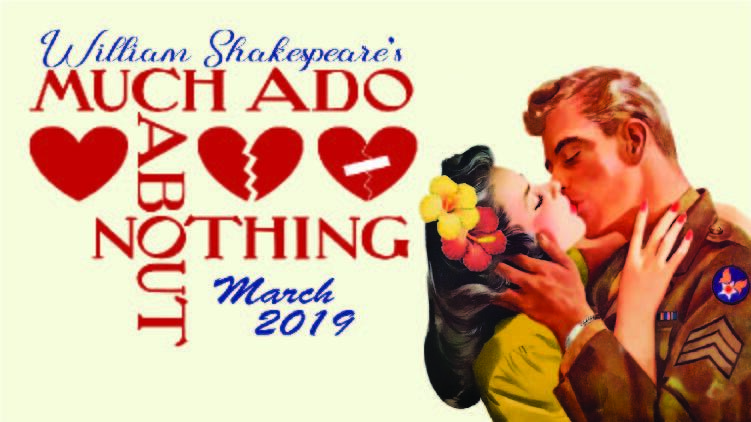 Date: Mar 15 2019, 7 p.m.
KMC OnStage presents, the OG romantic comedy! This is a classic Shakespearean comedy, full of fast romance, clever hijinks, and a whole lot of happily ever afters. Rumors and evesdropping result in chaotic twist and turns for two couples, as Benedick and Beatrice are tricked into confessing their love for each other, and Claudio is tricked into rejecting his love Hero at the altar on the erroneous belief that she has been unfaithful. It takes twists, turns, and teamwork to unravel the truth, but Shakespeare ensures that all is well in the end and the audience is granted an epic double wedding scene. March 15, 16, 22, 23, 29, 30 at 7 p.m.
March 17, 24, 31 at 3 p.m.